NOAA is also having an Open House April 26 in Silver Spring, MD. See Open House for details. 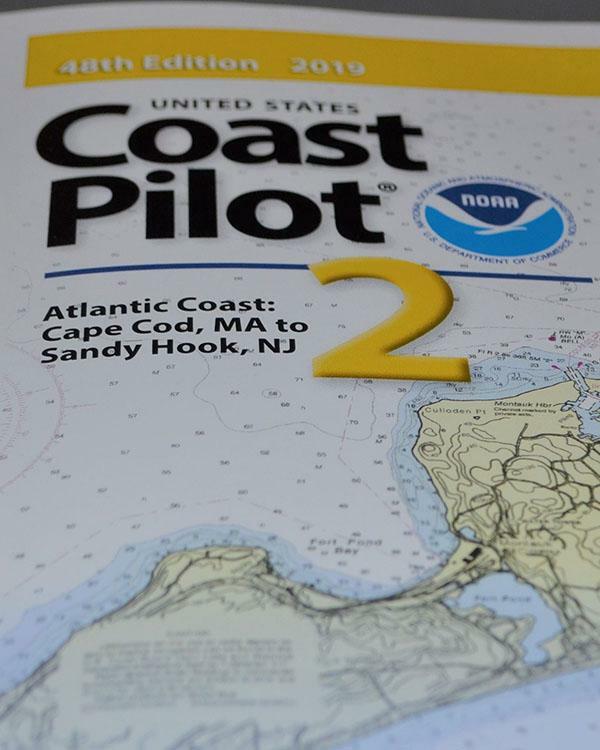 NOAA recently announced that all nine United States Coast Pilot® volumes now contain the U.S. Coast Guard International Regulations for the Prevention of Collisions at Sea (72 COLREGS) and the Inland Navigation Rules — commonly known as the “Rules of the Road.” The navigation rules are similar to rules on the highway as they present a consistent way to navigate safely and avoid collisions. Having the newly published Coast Pilot now fulfills the legal requirement for mariners to maintain a copy of these regulations on board. The newly added Coast Guard regulations are found in Appendix B of all nine Coast Pilot volumes. 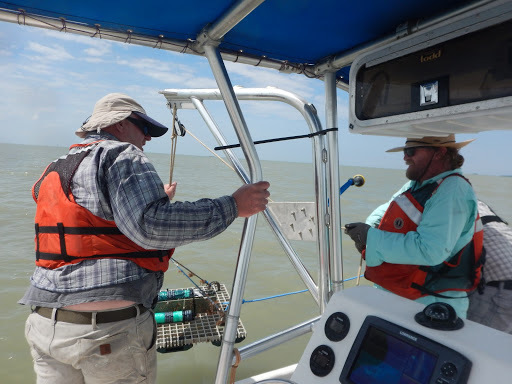 A NOAA field crew deploys a shallow-water sensor in South Texas waters for a current survey. NOAA recently concluded a nearly two-year current survey in South Texas that ranged from Corpus Christi to the southern tip of Texas, near Brownsville. Most of this area had not been surveyed before, so NOAA will be able to post new current predictions online for these locations later this year after the data has been analyzed. In June 2018, our field teams completed a reconnaissance of the New York/New Jersey Harbor for a current survey, and we will begin our efforts there this summer. For more information on these current surveys, contact Christopher.DiVeglio@noaa.gov. Coast Survey recently announced plans to change the U.S. Army Corps of Engineers maintained channel depth values on raster nautical chart products, which include paper nautical charts and the corresponding digital raster navigational charts (NOAA RNC®). Minimum depths (also called controlling depths) are collected during periodic Army Corps sonar surveys of channels. In the past, these depths were provided on raster charts, but controlling depths will now be replaced with the original channel design dredging depths used by the Army Corps (called project depths). Standardizing depth presentation on these products will improve data consistency and overall safety. 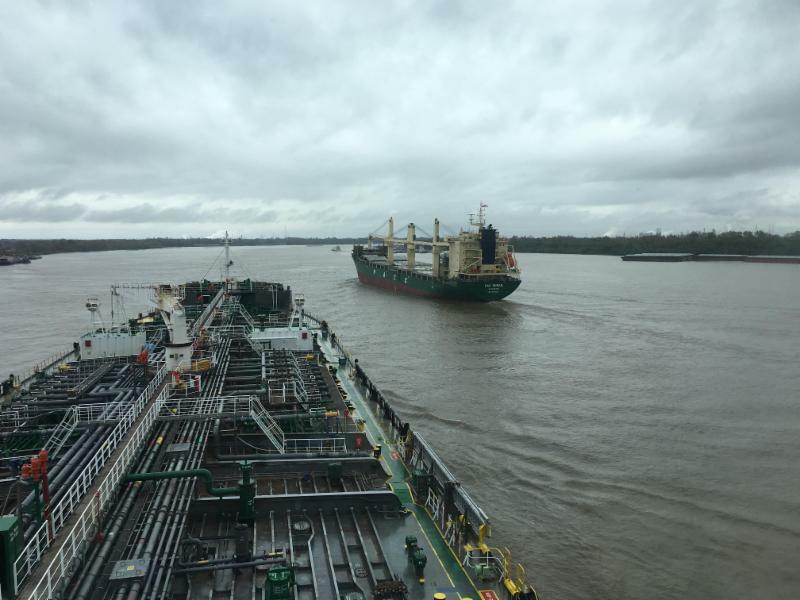 Tanker ships on the lower Mississippi River. NOAA’s Hydrographic Service Review Panel, a federal advisory committee, met in Washington, DC, March 5-7, to hear views from stakeholders and partners on NOAA’s navigation products and services, including a great number of recommended improvements. The panel members heard from a special session of stakeholders and leadership from the U.S. Coast Guard, the U.S. Army Corps of Engineers, NOAA, the National Ocean Service, and the National Weather Service Marine Weather program. Panel members and experts discussed the intersection of sea level rise and impacts to the maritime sector. NOAA is soliciting applications for membership on the panel. Nominations must be received by May 1, 2019, for a term that starts in 2020. Nominations are on a rolling admission and those received after May 1, 2019, will be kept on file and may be used for panel vacancies. For more information on how to apply, see the Federal Register Notice or visit the HSRP website. 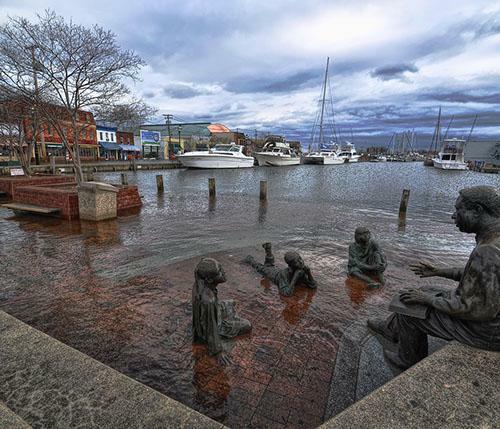 High tide flooding in Annapolis, Maryland. NOAA’s Office of Coast Survey is pleased to announce its 2019 Nautical Cartography Open House is scheduled for Friday, July 26, 2019. Registration information will be available on our website in the coming weeks.